The Rose Ball is one of the major charity events in Monaco. 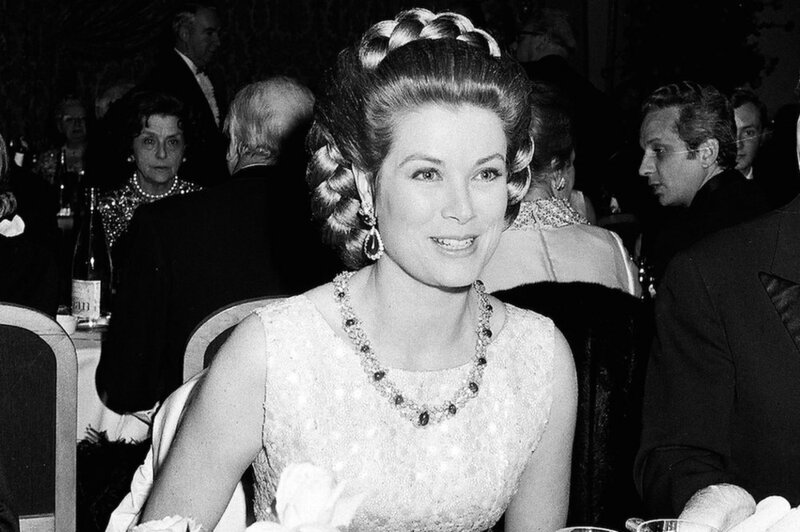 Created in 1954, it benefits the Princess Grace Foundation. Every year, the rose ball gathers the greatest personalities for a prestige charity gala for the Princess Grace foundation. Under the presidency of MSH Albert 2 of Monaco and his sister Princess Caroline de Hanovre, the ball takes place in the prestigious Salle des Etoiles inside Monaco’s Sporting Club. Princess Caroline of Hanover, Charlotte Casiraghi, Pierre Casiraghi and his wife Beatrice Borromeo, Princess Camilla and Prince Charles of Bourbon-two Sicilies and Princess Deena Aljuhani Abdulaziz attended the Rose Ball 2017 on March 18, 2017 in Monte-Carlo, Monaco. Red carpet highlight is always Chanel as Karl Lagerfeld's designs always perfectly represent the royal family. Monaco’s royal family stepped out in a mix of modern and vintage. Charlotte Casiraghi chose a dress from a 1996 haute couture collection that was covered in lace vines and had a glamorous plunging neckline. She paired it with red lipstick, diamond earrings and 20's style hairdo, perfectly representing the granddaughter of Grace Kelly. Princess Caroline took a risk and chose a dress to mirror the evening's floral theme. who emerged as the evening’s true risk-taker. All eyes remained on her royal highness. Young and romantic Giambattista Valli Spring 2017 collection.